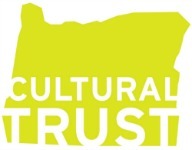 In 2009, the Genealogical Forum of Oregon, Inc. (GFO) established a program to recognize some of the "First Families" of Multnomah County, Oregon, by issuing a certificate to descendants in one of three categories to qualified descendants. 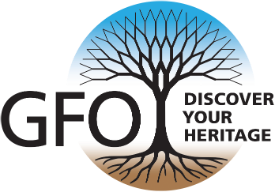 The applications the GFO has received are just waiting to be indexed--all that is needed is a willing volunteer! Applications for a certificate will be accepted from anyone who is attempting to prove direct descent from an individual residing within Multnomah County before 15 October 1905. Once verified by standard genealogical rules of documentation, certificates will be issued by mail to the applicant. The application fee is $20 and is non-refundable. The applicant may request additional certificates for documented descendants of a previously submitted settler for an additional $15 each. All verified material may be published and made available for purchase. Descendants, including certificate holders, born after 1940 (the date of the last public federal census) will be listed only as "Living," unless their consent is given to use their name. Any supporting documents dated after 1915 will be shredded. Completed forms may be photocopied if certificates are being requested for more than one settler or for more than one descendant. A separate application must be submitted for each ancestor for whom a certificate is requested, including one primary or two secondary proofs of the earliest date of residency within Multnomah County. All applications and documentation becomes the property of the GFO and will not be returned. Send only photocopies of documentation, DO NOT submit original documents.